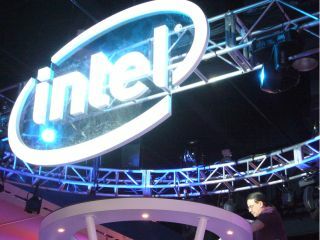 Intel will be looking beyond the humble computer, with the company announcing at the Intel Developers Forum that is looking to create an Apple-style apps market for further growth. The chip giant believes that viral apps are not at the stage they should be for products containing its wares, and is creating a framework for its Atom chips that is supported by the likes of Acer, Asus and Dell. "We're flushing out the software side," said Chief Executive Paul Otellini. ""In these new spaces, in [consumer electronics] and in handhelds in particular, and to some extent in netbooks, the Intel side of the world is lacking the viral apps development that you see, say, on the iPhone." The phenomenal success of Apple's app store – providing an arena for third-party software makers to develop and sell their programmes to a mass market – has had a huge influence on the technology market. Intel believes that developers should be able to write an app and have it work on any platform that uses the company's chips and will provide tools for devs using Microsoft's Silverlight framework. Silverlight, a rich internet application, will work on both Windows platforms and the Linux-based, Intel-backed Moblin operating system.